Blog > Traffic Generation > Should I Use AdWords Display Network or Search Only? When you decide to use AdWords for paid advertising, you have a lot of different things to consider. One aspect that is often overlooked is the location of the advertising. 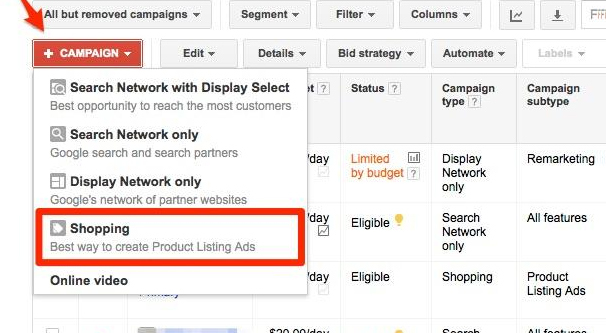 See, by default, when you run AdWords ads, your ads will display in both the search results and in the display network. What this means is that your ads show up in the keyword-relevant Google search results pages you’re targeting, but also on any website that is within your keyword range and is running Google AdSense ads as a publisher. The display network also includes positioning like YouTube and in-app advertising. That’s a lot of different possible locations for your ads. What’s worse is that Google does not provide an easy, default way to divide performance and analytics records based on display location. In other words, there’s no easy way to see which kind of ad – display network or organic search – is performing which way. 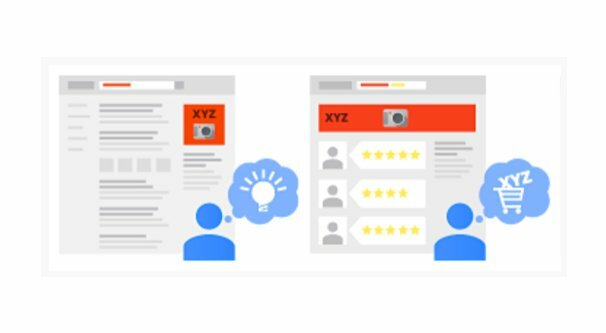 Many people tend to think of AdWords as only one or the other, just simply not realizing that their ads are defaulting to both kinds of display. You might optimize for organic search, thus losing out on a lot of potential traffic from display network showings. On the other hand, you might optimize thinking you’re on Google text blocks and simple banners, while you show up in organic search results in a less optimal way. You end up wasting time, money, and good ad copy on these poorly optimize ads, all because of one choice on Google’s part. Now, I’m not going to ascribe them malicious intent. They’re trying to make AdWords as broadly applicable as possible and as simple as possible. 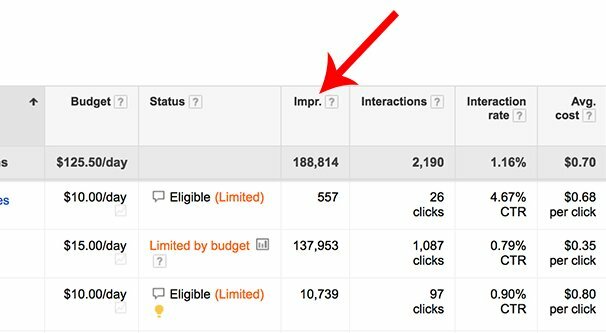 It’s just that running PPC ads is an exercise in micromanagement. If you’re not paying attention to every little aspect of your ads, you’re leaving money on the table. 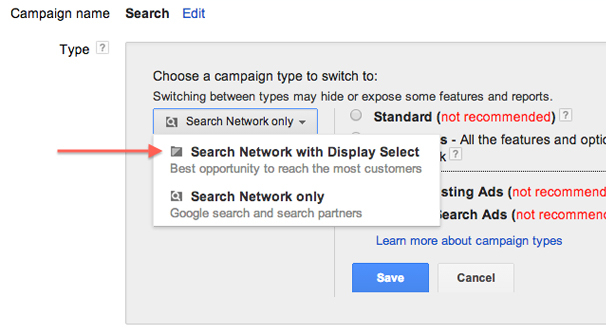 One thing Google has recently put out is their new SNDS, or Search Network with Display Select targeting. This is basically an improved version of “both” as an option. Your ads display in organic search as normal, and while they display in the display network, they are more focused and more limited. 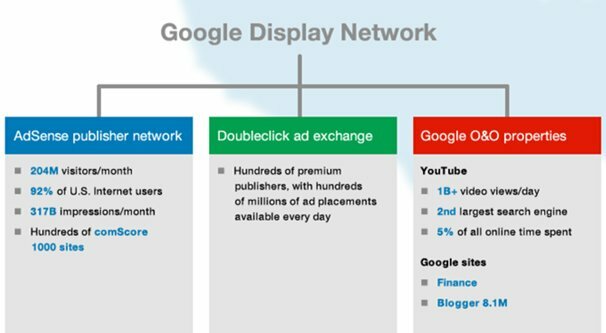 Google says they use improved signals and prediction methods to try to optimize those display network ads, to get the best of both worlds. At the moment, I don’t recommend this option for advanced or knowledgeable marketers, or the people who want to micromanage every aspect of their ads and optimize every little flag and knob. Essentially, it’s an “easy button” option for marketers who don’t want to tweak their ads. It’s a way to get both kinds of display without sacrificing the time, energy, knowledge necessary to tweak ads to work best on each platform. If you’re a relatively new marketer and want to focus on things like your ad copy, your keyword selection, and your landing page optimization, it’s fine to use SNDS. If you’re more advanced – or want to dive in headfirst and see how the waters treat you – don’t choose this mode. The main reason is that, while being an easy button for newcomers, it takes away a lot of optimization options you would otherwise have. It’s better than nothing, but it’s still a middle of the road stopgap on the way to actual optimized performance. Now, of course, I’m not going to tell you to use one or the other kind of ad as a flat, one-recommendation-fits-all solution. That’s never going to be the case, and any marketer who has one single solution for everyone is a pretty bad marketer. Instead, I’m going to go over the three options you have – not counting the SNDS – and give you the pros and cons of each. First up, the organic search display. Google calls this the Search Network, and it’s all of the sponsored results you see in a Google results page; the ones up top above the first organic results, as well as the ones off to the right in the gutter. One consideration here is that you’re not actually limited to just Google. 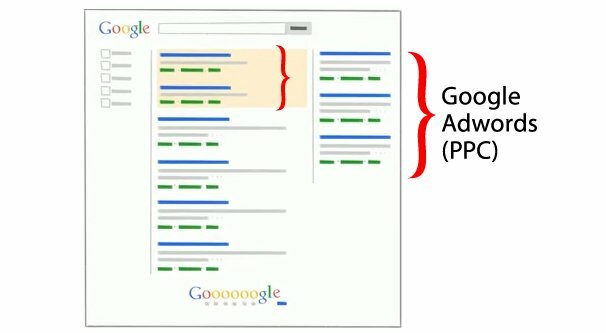 Google has an option you can choose called “include search partners” which puts the same kind of ad in front of other, smaller search engines Google has partnered with, like AOL’s search. It might be worth toggling this option to see if it makes much of a difference, but since the majority of traffic is going to go through either Google or Bing, the miniscule effect of AOL or other minor search partners isn’t likely to make much difference. The primary benefit of running ads in the search results display location is that you’re generally reaching someone who is specifically searching with some kind of intent. Think about the kinds of queries you run through Google. When you’re using the search engine, you generally want one of a few possible things. You might want information, in which case you might be satisfied with Google’s enhanced search boxes or a Wikipedia page, or you might want to go to a specific site or FAQ. You might want a specific product, in which case ads are going to be highly relevant. You might want directions, in which case the official contact page for a business might be excellent to find. People who use Google search are doing so with an active intent, and ads are often a very relevant and very powerful way to reach those people. 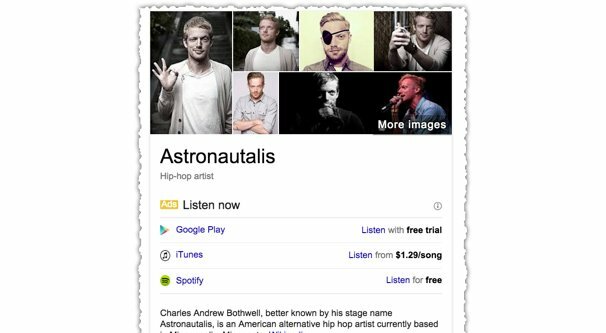 Sure, some amount of traffic will be poached by Google’s infoboxes, but that can’t be helped. In general, there are two main reasons why you should set your ads to only the Google organic search display method. The first is that you’re selling an “emergency” product. Something people want right this minute and can’t take the time to investigate, research, and poll their friends and family about. Emergency health services, plumbing or electrical services, locksmiths, and other sort of immediate need products or businesses work very well as sponsored results in the search results pages. The other reason is when you have a small or limited budget. If you don’t have a lot of money to work with, you don’t want your ads showing up all over creation for five minutes, the way the display network will show them. Search result ads tend to have a lower cost per conversion and a higher conversion rate, at least with a minimal amount of optimization. You can make display network ads work better, but it takes more work, and more money spent on experimentation, to get to that point. The second option is to set your ads to only display in the display network. They won’t show up in the search results, and instead will only show up in slots where publishers have put their AdSense boxes. This can be YouTube, it can be ad boxes on blogs, it can be app ads, and all over the place. Google claims that their display network reaches over 90% of the global internet-using audience, and given how huge they are and how frequently I see those ads, I fully believe it. The big thing you need to remember about the display network is that those ads are a lot more passive. You might show ads promoting your really cool motion-activated sink faucet on a general plumbing-focused website, but a lot of people visiting that website might not be in the market for a faucet. Maybe they’re repairing a leaky pipe, maybe they’re concerned about lead leeching in pipes, maybe they’re researching mineral filters, who knows. You also have to compete against ad blindness. Display ads on websites are so commonplace that the majority of them are utterly ignorable, and it has trained people to ignore ads in general. On top of that, you have all the web users who use ad-blocking software, which is an ever-increasing number. This is also why it’s important to keep rotating your ads, both as a publisher and an advertiser. The display network is very far from ideal for emergency products and very niche products. What it’s good at, however, is more passive exposure. The display network is great for building awareness. It helps get your name, logo, and imagery out into the wild for relatively cheap. With some good targeting options selected, you can reach your specific demographic audience quite easily, and since there are so many people in that audience, your costs are generally going to be fairly low. Of course, at the same time, conversions are also pretty low, so you need to balance the two factors. You can also make good use of the display network if your sales process is pretty long. If there’s several steps, a sales call, a background check, or other roadblock between the user and an immediate sale, display network ads have a decent chance of working. The reason is because of remarketing. You can get people interested, and then target the interested people specifically with follow-up ads. This, by the way, is the same phenomenon that people complain about Amazon doing. When you look at a product on Amazon but don’t buy, you can bet you’ll get an email and start seeing ads for that product and other, similar products. You put yourself on a list of potentially interested parties, and now those businesses want your sale. The display network is also a great way to showcase graphical ads. You can’t put images, banners, or other graphical ads in the Google search results, but you CAN put them in display banners, videos in front of YouTube, and other such options. If your product is glamorous, or you have invested heavily into video commercials, or you otherwise can take advantage of a graphical advertising format, the display network is the way to go for sure. Of course, reading all of the above, you might notice something. These ad display locations aren’t overlapping each other. One business can take advantage of both kinds of ads. You might run broad display network ads, and then use a remarketing audience to target organic search ads. The trick here is to use different campaigns for each kind of display location. Run one campaign for organic search, one campaign for display network, and a third campaign for remarketing. You can even run two remarketing campaigns, one for each display location. Of course, the more ads you run, the more money and time you’re going to spend on them. That’s not necessarily a bad thing, but if you’re very tight on your budget, it can be difficult to make full use out of all of your campaigns. You don’t want to hobble four campaigns with low budget; you might need to stick to just two campaigns with moderate budgets instead. The benefit of this strategy is that you can dig deeper into optimizing your ads for each individual kind of display. This increases the effectiveness of each overall, and boosts your metrics across all of your ads. Plus, with individual campaigns, you have individual sources of data. That allows you to see each campaign and each display location on its own to compare, rather than just having one aggregated data display with no way to drill down. The deeper analytics alone is probably worth splitting everything up into campaigns in this fashion. I know, I know, by now all of you expect me to have a wishy-washy “why not both” answer. The fact is, whenever you can choose “both” in an either/or choice, you’re going to come out ahead. It might take more effort and it might cost a bit more, but the returns are generally worthwhile. Facebook Ads vs AdWords – Which is Better for Remarketing?